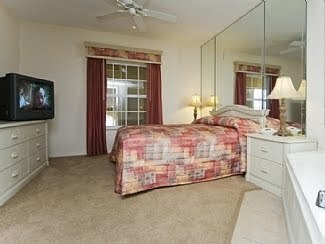 When you're on vacation, do you prefer staying in a hotel or in a holiday villa? Nowadays, many companies and private parties offer holiday homes for rental by tourists. I have always been under the impression that such accommodation like villas in Florida or villas in Mallorca are costly and way beyond my budget. After all, you'd be enjoying an entire place that is not only huge and furnished but offers you all the comforts and security of a normal home as well. So I looked it up online and was quite surprised to see the going rates for such luxury accommodation. 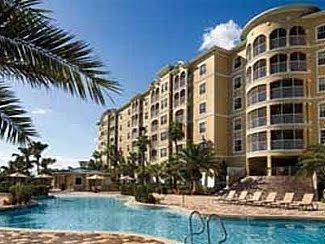 This apartment near Champions Gate in Orlando, Florida for example comes with a shared pool and is available for rental from as low as £52 a night for a minimum 3-days stay! I can't swim so swimming pools are not topmost on my list. 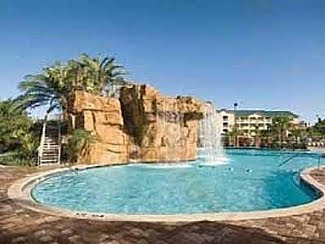 But location is and this beautiful apartment is located only 2 miles South of Disney World Resort, which is a plus! You will undoubtedly have your own set of criteria for the holiday home or villa you're considering; it all depends on what you seek and desire from your vacation. On our recent vacation in London, B and I opted for hotels. I think we are so used to booking hotels as opposed to holiday homes or villa that we never even considered the latter. But after looking at the rates and pictures of the many available holiday homes for rental, we might just choose a gorgeous cosy villa the next time we go away on another exciting vacation! Speaking of vacations, I've already posted my shopping spree complete with pictures for your viewing pleasure over at my perfume blog. So drop by if you'd like to read more on the fun day I had shopping in Bicester Village. My next European Escapade post here will feature the "authentic" Malaysian cuisine B and I had at Suka Restaurant in the 5-star Sanderson Hotel, London! Nothing too fancy for me. I'll minimize on lodgings as much as I could. After all, I'll be spending most of my time outdoor. Only to go back for shower and sleep. me too cant swim! :'( :'( tak syok one. :* :* :* :* Monica FC1! >:o >:o >:o >:o >:o =-O =-O *DONT_KNOW* *DONT_KNOW* GG! =-O =-O =-O =-O Hey GG! :* :* :* :* Thanks for visiting GG, hugs! :* :* :* Hi Caroline! while in Europe, we went on a coachsurfing home stay program. it's a website that links travelers looking for a great night sleep and free places to stay with willing locals. i know most people might be skeptical about sleeping on a stranger's house but i think it's actually a great way of saving money when traveling. when looking for a good host, i look for the profiles based on only good testimonials written by other travelers on the website. we had a great coachsurfing experience in Athens, Vienna and Moscow. 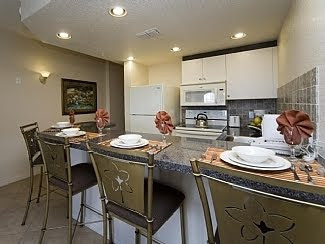 it has not crossed my mind to stay in villas while on vacation but it's a good option to consider. like you, i'm so used to booking hotels. have a wonderful week dearie. Eh u can't swim also? Like me? Haha! Join the gang LOL!! I prefer hotels too but now that we have a little one maybe I can look into vllas, a good lawn space can be good for some running stretch.